I realize this is a bit off-topic but in these poor economic times, any useful job hunting advice is relevant, no? Recently, a young man and a member of my national fraternity emailed me, looking for some assistance. He was now graduating and like everyone else, was finding it difficult to get a new gig. He sent me his resume and to put it mildly, needed work. The following are exerpts from the letter I sent him. As they used to say on Dragnet: "The names have been changed to protect the innocent". I've reviewed your resume, and I must say it does not put your best foot forward, based on your email to me. I have interviewed many people in my career and if I came across your resume, I would also be inclined to pass. 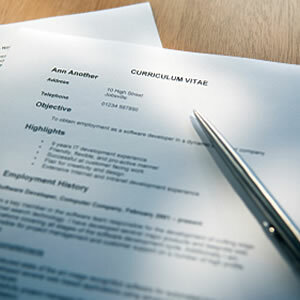 A resume is a marketing tool - a sales brochure for a product. That product is you. Your resume (and cover letter) is all the hiring officer has to go on. Based on that, ask yourself, "If I were buying job candidates, would I want a Bob Jones?" If the answer is "yes", go no further. I suspect however, you will agree your current version does not. what you are (the point of the resume). Did you know hiring types rarely read the whole document? They usually get down about a third of the page before they use it to weed you out. Put yourself in their shoes: "I have 100 resumes on my desk for one job. how shall I do this? I'll make a process." That process is usually reading a bit to decide who to cut to bring the number of resumes to a more managible number, like 5 -10. Use this information to your advantage - put the most important and most interesting stuff in the top third of the document. Your objective is obvious: "To get a job!" having said that, feel free to eliminate your Objective altogether. If you must have one, please don't limit yourself to the kind of work you feel you are suited for, like Public Relations - let the company you are applying to do that. What if its a marketing job? You've already taken yourself out of the running with your current objective. Rather than an objective, you may want to lead with a bullet-pointed list of what you are skilled at, since that is what you are selling. What you lack in experience, you make up for in the fact that you are young and not supporting a family (read: willing to work longer hours for less pay than then current employees). You are a recent grad, hep to new business practices and methodologies like social media, learning management software like Blackboard, etc. You bring a lot to the table that companies know they need more of - no kidding. Believe it or not, guys over 30 don't know half that stuff - most of us don't tweet and REFUSE to text. Employers NEED these resourses to make money in the 21st century. Add A LOT MORE to your computer skills section. Speaking of experience, why do you bury that stuff at the bottom? Please, lots more detail here and tell where you got it, with dates. You created and launched a business?!? This info should be front and center. Also, take out "Relevant" from "Experience", its redundant. to follow up with a resume if requested to do so. First, full disclosure: I bought a Kindle - for my wife's birthday. She is a member of a book club where half the members use some form of e-reader; mostly Kindles, but there is an Ipad or two. She asked me for one, and this got me thinking..."I'm a gadget lover, why don't I wan't one of these things?" You can't share the books - Outside of the B&N Nook and some of the less popular devices, books cannot be loaned to others. This is not a small problem: Libraries are looking to loan ebooks, but those with Kindles and Ipads can't participate. Also, the fun of browsing bargain bins and used bookstores is completely lost with these devices. I can't see myself going through the online version of a store for a similar experience. Ebooks are expensive. Really, the cost of the books should be significantly cheaper than the printed versions. Why? All printing costs are eliminated. It cousts the same for the publisher to print 100 or 100 million. Instead, Amazon proudly charges $2 to $3 less for the ebook than the hardcover version. I think I'd pay the difference, so I can loan it to someone later. Better Tech is on it's way. I'm not a big fan of the Ipad either, but it's infinitely more usable than a Nook or Kindle. I think there is a place for even better tablet computers, just not expensive and fragile readers. 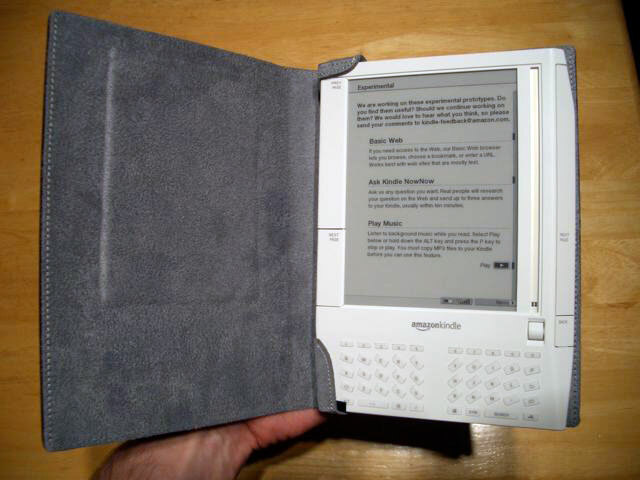 Most importantly, E-readers break, books don't. Apparently, it doesn't take much of a drop (!). Like all electronics, they must be cared for, recharged, and kept dry. I don't want you to think I hate these devices, on the contrary; there's a lot of cool tech there. I just think that they will never replace old fashoned books, at least until some of these problems are solved.